← Does U.S. Law Bring Order to Global Commerce? Yes, in Many Cases. Trade Developments on the Federal & State Levels — Growing Criticism, But Some Success. …..Major success for Obama administration. Signing ‘Fast Track’ and ‘Trade Adjustment’ bills. Next trade fight ….. reauthorizing the Ex-Im Bank. Global competition requires American leadership and that means the necessary legislation. Congress has a major role in supporting U.S. firms and their international activities. But also reforming U.S. international tax legislation should be a priority. Massive tax avoidance via offshore transactions and tax havens aren’t sustainable. “Obama Signs Trade Legislation.” Washington Post (June 29, 2015). …..Good piece in the Financial Times. Both U.S. and EU need to fix the way they authorize and negotiate trade agreements. “Congress and Fast Track.” Financial Times (June 19, 2015). …..Excellent editorial on Virginia’s trade initiatives and negativism of many Congressional Democrats and Democratic leaders. Too bad. Virginia and other states have a strong tradition of promoting economic development via trade promotion and foreign direct investment. You ignore trade at your peril. Shouldn’t play politics. Leadership is important as is public support. Need more leaders to speak out on this. McAuliffe is right and his actions benefit the Commonwealth. “Virginia and Trade.” Richmond Times-Dispatch (June 15, 2015). …..Best way to avoid hurting the U.S. is for states to go after foreign investment and trade — Not soliciting firms from other states. Use of state economic incentives and economic development policies should be focused on enlarging the pie, not cutting it up. States need to better integrate their economies into the global economy. That’s what counts today. Parochial policies are a dead end. We need some real forward-looking strategies for state economic development. “State Incentives and Economic Development.” CNBC (June 9, 2015). 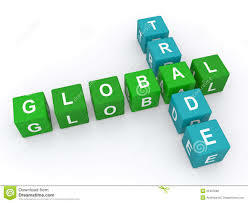 This entry was posted in Global Trade Relations and tagged FasTrack, state-level economic icentives, Trade Adjustment Assistance, Virginia and trade. Bookmark the permalink.